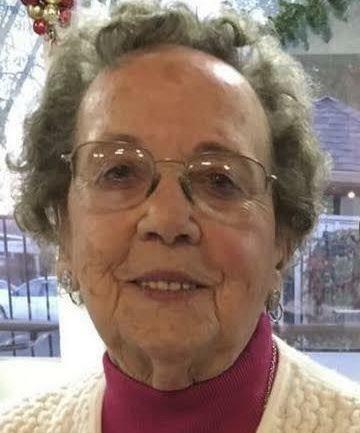 Ann Doris Ripley passed away peacefully on March 12, 2019 at home with her 4 children at her bedside. She was born in Brooklyn, Michigan of parents Alvin & Zera Mohr on July 1, 1922. She was a wonderful homemaker, great cook & had many friends that she loved. But the love of her life was her family. She is survived by her 4 children, son Ron Ripley wife Patricia, son Martin Ripley, wife Diana, daughter Judy Clemons & daughter Kelly Doheny, husband Darryl. She had 10 grandchildren, 15 great grandchildren & 12 great, great grandchildren. She had a witty humor & loving nature, up to her final days. She will be greatly missed.